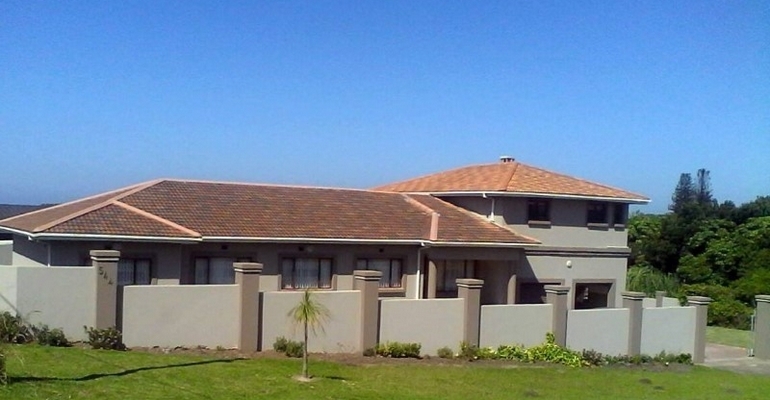 Troy’s Place is a well-appointed 5 bedroom, 2 bathroom standalone holiday home situated in Port Edward. 10 guests can comfortably be accommodated. Situated close to Port Edward CBD and main beach this is an ideal choice for a larger family, although less people can also be catered for. The kitchen is well appointed and forms part of the open plan dining and lounge area. You will have access to a double garage and the separate entertainment area which boasts with a built-in braai, bar, pool table and outside balcony – perfect for a good time! Out of Season Weekdays: R1 800/night up to 10 people, thereafter R190 per person. Normal weekend Rates: R2 400/night up to 10 people, thereafter R200 per person. Long weekends: R2 800/night up to 10 people, thereafter R250 per person. School holidays: R2 800/night up to 10 People, thereafter R230 per person per night. Christmas, New Years and High Season: R3 500/night up to 10 people, thereafter R275 per person. · A 50% deposit secures your booking, balance and breakages deposit on arrival (cash), or 3 days prior to arrival (eft). · Rates are subject to change without prior notification. · Cancellations: R300 admin fee. · Deposit may be withheld, and additional charges may incur in the event of cancellation or premature departure. · Written instruction for cancellation is required.